Tucker Carlson, Republican Pun-don't on MSNBC, has made quite a fuss about the Libby case from the get-go, trashing Patrick Fitzgerald at every possible opportunity, and blathering sympathetically about Scooter Libby's kids...oh, the kids, for God's sake, the kids. Never mind that had Scooter not committed multiple felonies in the first place...well, Tucker doesn't really care about that, now does he? But Tucker has a secret. And unfortunately for Tucker, the secret got published on the Scooter Libby Defense Slush Fund website...and blabbed all over Washington...and Arianna found out about it. 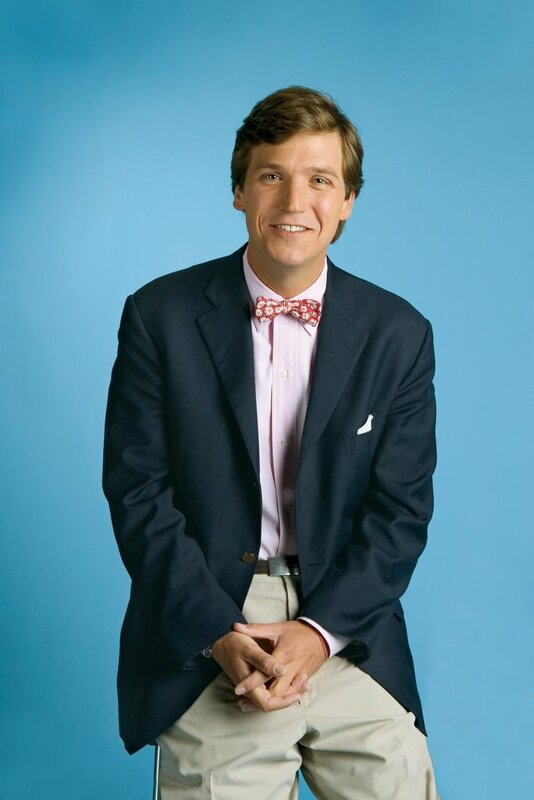 But with all he's had to say about the case, there is one thing that Tucker Carlson has failed to mention: That his father, Richard Carlson, is on the advisory committee of the Libby Legal Defense Trust, the GOP-heavy-hitter-laden group that has so far raised $2 million. But while Carlson has mentioned the legal defense fund on the air and on his blog (including chiding Cheney for not donating to it), he hasn't seen fit to offer up an "in the interest of full disclosure" type disclaimer. According to Arianna, this isn't the first time Tucks has failed to mention such a potential conflict involving Daddy and a story on which he was reporting. It's an exceptional article, filled with all sorts of bits, including all those pesky quotes that Tucker no doubt wishes he could soften or, perhaps, be up front and honest about his bias before opening his yap. I'm afraid "bygones" isn't gonna cut it on this one, Tucks. Such a teensy detail as "my Daddy's money is keeping Scooter afloat while he's indicted for five felonies" must have just slipped his mind. Perhaps that bow tie is a little tighter than we thought. "Erm...yeah, well, I forgot Daddy had a check messengered to Scooter's house the very day he was indicted. Maybe I should have been more up front about that with you and my viewers." Oh, ya think? Conflict of interest, much? Credibility is so tenuous. Especially when you were awfully low on it to begin with...but Rachel Maddow ought to be hilarious next time she's on the show. That might be worth the price of popcorn all by itself.